For many, binary options is more than just an exciting fad hitting the web, it’s a way to make an income or a second income. 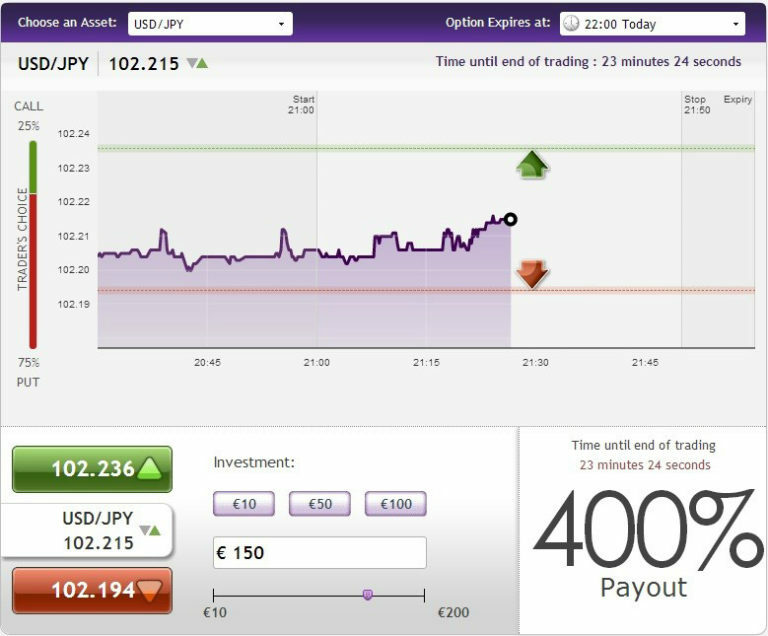 Done right, binary options trading can be very rewarding. Most binary brokers pitch their offering at absolute beginners, and while it is essentially very simple to grasp for anyone, here’s the kicker, the more you learn, the better your outcome will be. Binary options have opened up the gateway to trading so that literally anyone can get involved. With the right broker to partner up and with a growing knowledge base perhaps you can take a trading advantage over the markets. Have you come across binary options on the internet yet? It’s likely that you have at some point. 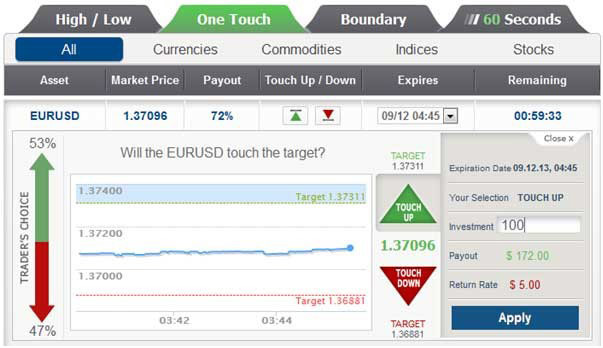 The reason that Binary options are such a popular online trading type is that they are extremely simple to understand. A person with no prior knowledge can literally sign up for a new broker account and begin trading within a matter of a few minutes. Binary options are also more affordable than say, stock trading. With stock trading you will actually need to purchase the stock. With Apple stock currently at around $145 you might not be able to afford too many! With binary options you never actually own the stock, instead you are speculating on the price movement. The most important thing to thing to do before putting your money into binary options is to know the most attributes that tell it apart from a scam. Here’s our top tips for spotting a scammer. A scam or the ‘facilitator’ of the scam will not provide proof of regulation by any authority in the country where it operates. Trading binary options is illegal in quite a number of countries therefore it is important to first find out the policies around the country you wish to trade from. Also keep in mind that trading binary options is anything but easy. It requires the investor to collect a huge amount of information before deciding where to put their money in the hopes that the market will head in a certain direction. If you are doubtful of the broker’s credentials, do not hesitate to request for proof of a license from the regulator in that particular country. You’ll find many review and scam websites talking about different brokers. In fact most brokers, whether good or bad will have a scam review somewhere on the internet. Don’t believe everything you read as some scam review websites are scams themselves, set out to destroy brokers who wont pay them money in advertising! Additionally bad reviews and good reviews can be created to suit the publisher’s interest. When you see a broker with awards its worth considering that actually the awards are often bought in exchange for advertising. It’s hard to find a good broker based on what you find on the internet. That’s why you can consider a site like BinaryTrading.org your friend in the Wild West of the internet.